There are many ways of creating a website using the different platform such as Google Domains, Bluehost, HostGator, etc,. Godaddy is one of the best and top platform to create and host your website. Let take a look at the process of building of creating a website step by step. The first step in creating a website is choosing a right domain name for your business/blog. There is a myth that domain name must include the keyword of your business for better ranking in Search Engines. That is not true, even if the keyword is not included in the domain name, Search Engines will still rank your website. Check for the availability and recommendations so that you get new ideas. After you have decided the domain name, next step is to choose a right plan that suits your website. If you have a just basic website and not sure which plan to choose then go with a starter plan first for 1 year. Based on your requirements, you can upgrade your plans later. You can choose any of the web hosting services such as HostGator, Hostinger etc,. 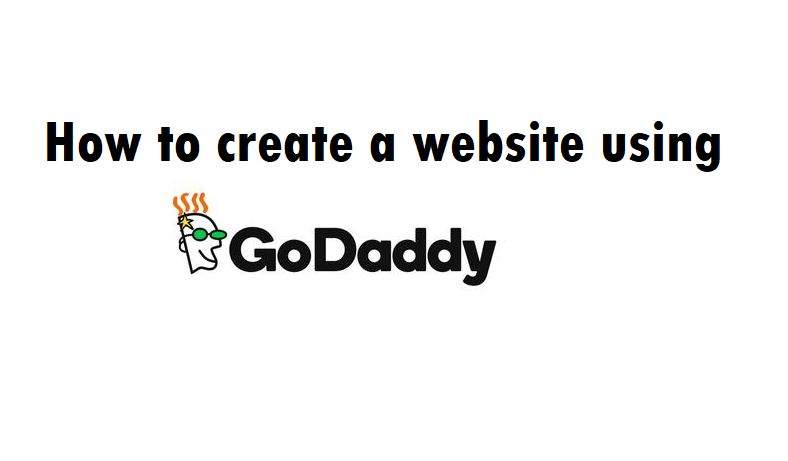 In this tutorial, we will be using the GoDaddy WordPress hosting. There are 4 different plans available such as Basic, Deluxe, Ultimate, Premium plan. You can choose any of the plans based on your requirement. If you are very new, you can go with a basic plan and later you can upgrade as per your requirement.